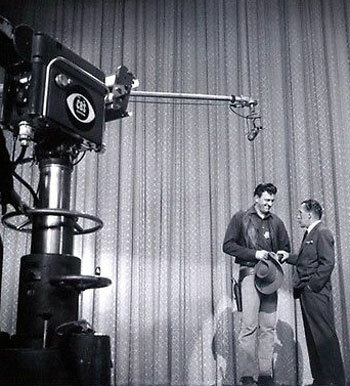 “Steve Allen Show” in 1958. 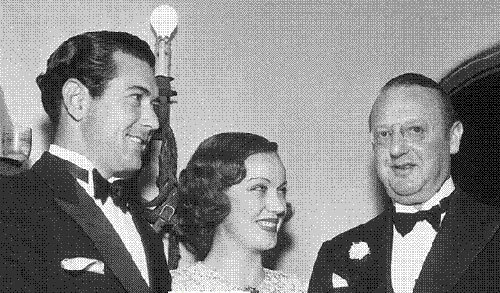 Johnny Mack Brown, Fay Wray and Jesse Lasky at a Gary Cooper home party. 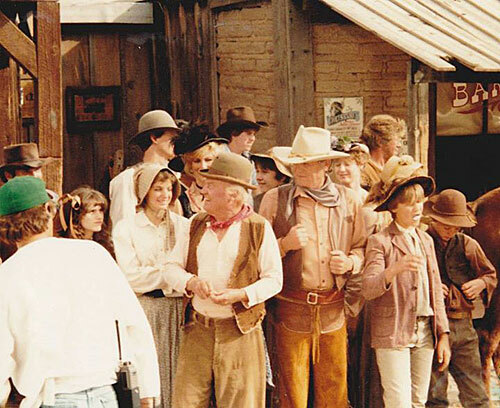 At Corriganville, Ray “Crash” Corrigan gets a hug from an adoring fan. 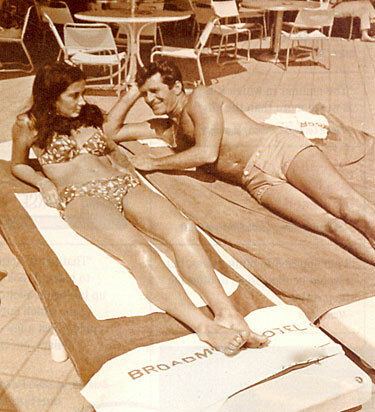 Hugh O’Brian and friend relax poolside at the Broadmoor Hotel in Colorado Springs, CO, in the early ‘60s. 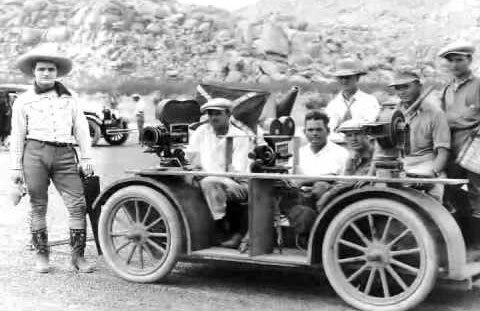 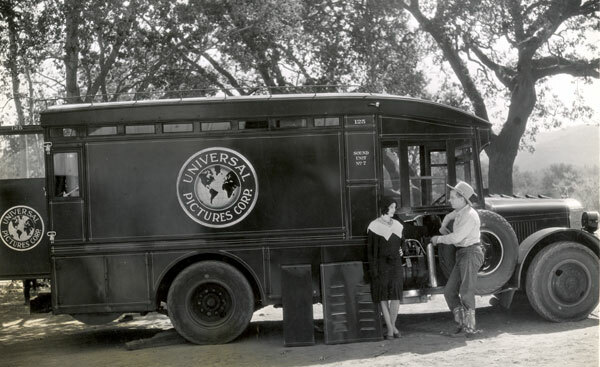 Hoot Gibson and his leading lady stand beside a Universal Sound truck in the early ‘30s. 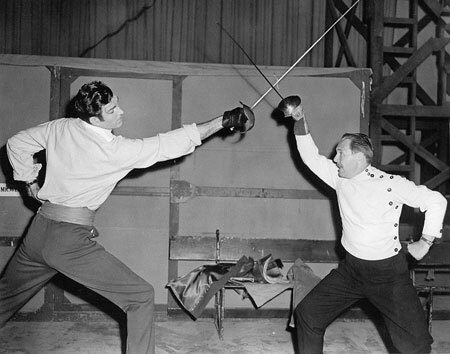 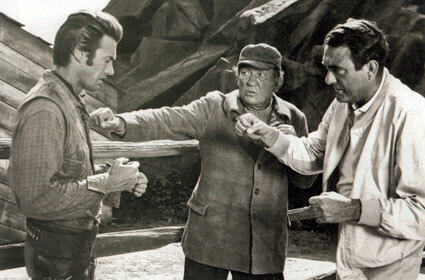 Victor McLaglen and son Andrew McLaglen (directing) give Clint Eastwood a few pointers on the proper way to throw a punch on the set of “Rawhide” in ‘59. 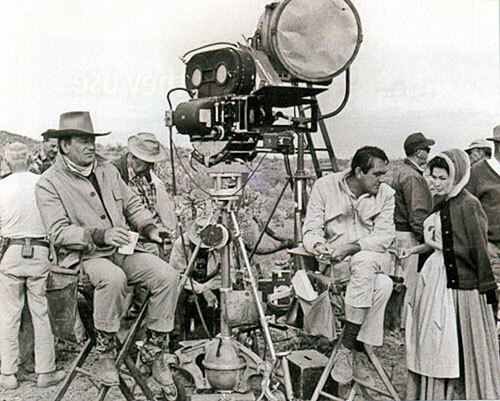 John Wayne sits idly by as director Andrew McLaglen provides some direction to Yvonne De Carlo on the set of “McLintock!” (‘63). 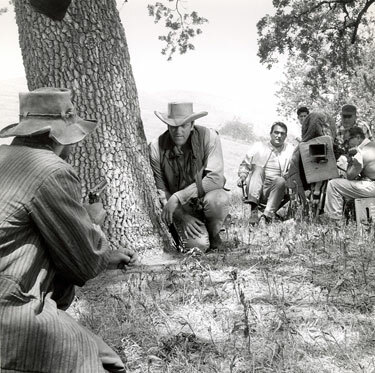 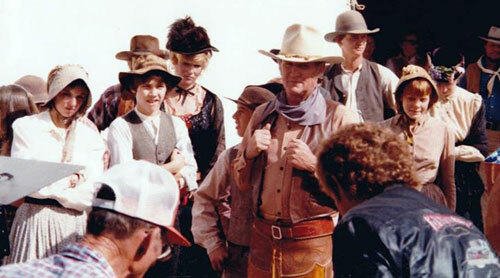 Director Andrew McLaglen guides James Arness through a scene for “Gunsmoke”. 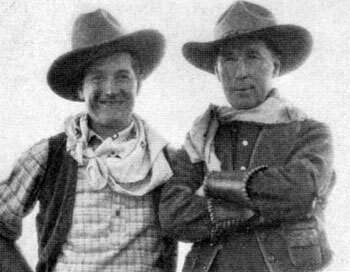 Maurice Chevalier goes western with William S. Hart in 1932. 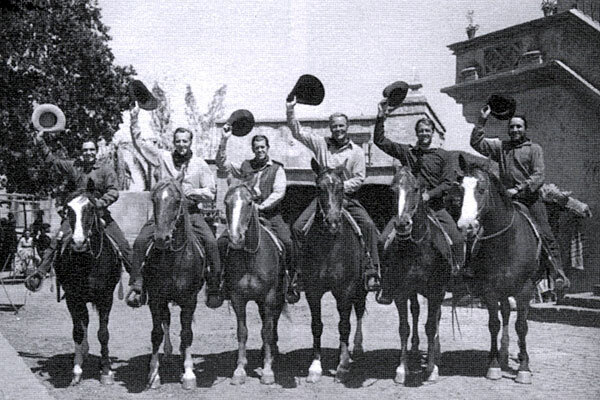 The casts of two Warner Bros. westerns were shooting on adjacent locations when they came together for this photo in 1949. 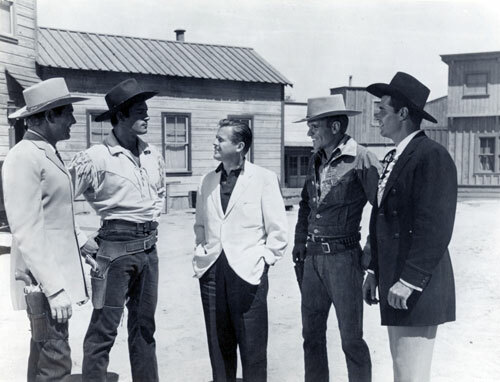 (L-R) Bob Steele, Bruce Bennett, James Brown, Wayne Morris, Joel McCrea, Victor Jory. 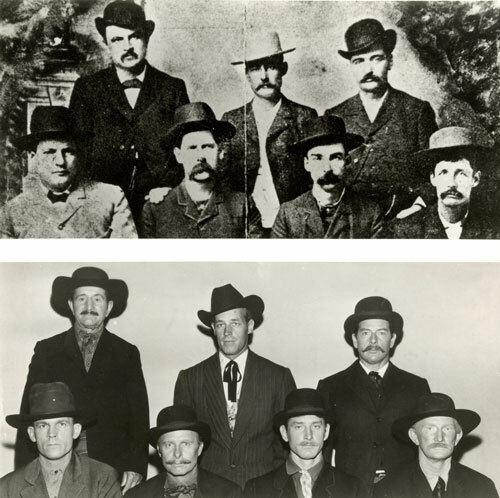 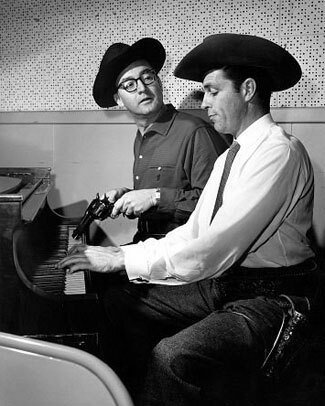 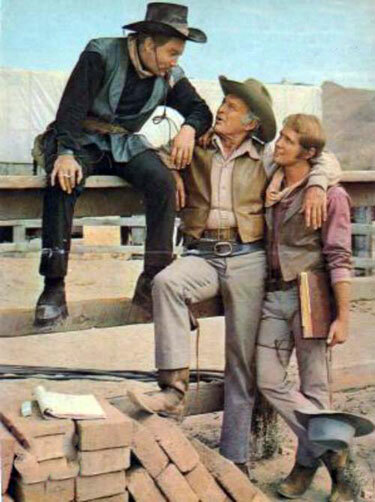 Steele, McCrea and Jory were working on “South of St. Louis” while Bennett, Brown and Morris were working on “The Younger Brothers”. 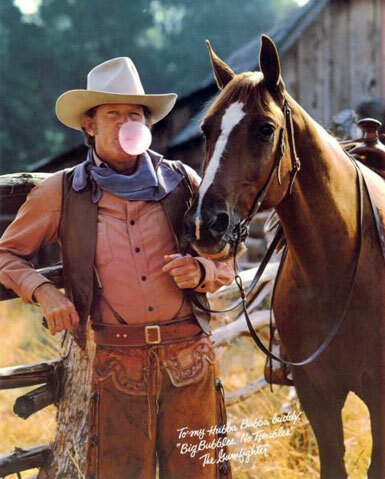 Foreman Sam of “High Chaparral”, Don Collier, and his famous Hubba Bubba Bubble Gum commercial. 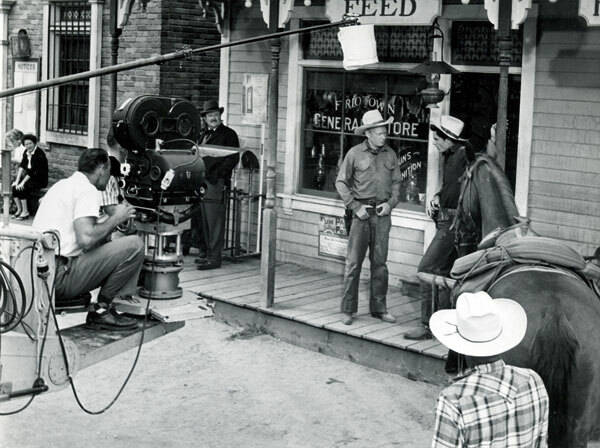 John Kimbrough starred in “Sundown Jim” and “Lone Star Ranger” for 20th Century Fox in 1942. 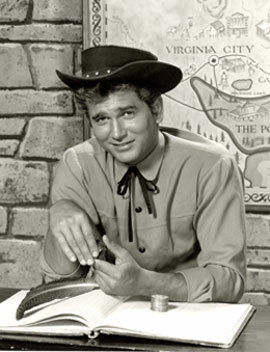 He later served as an Army pilot in the Pacific Theater of Operations during WWII. 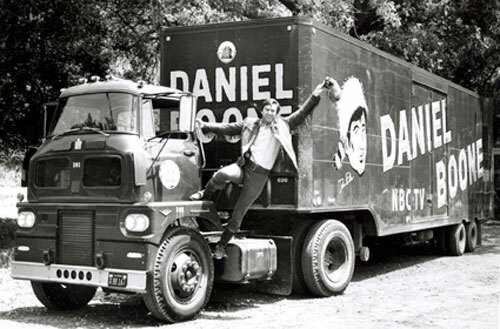 Returning from service Kimbrough played football with the Los Angeles Dons of the All America Football Conference. 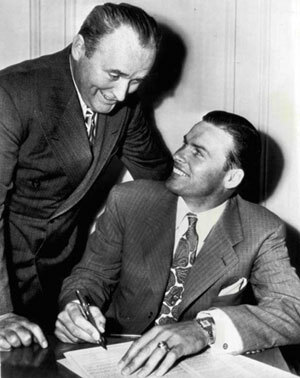 Here L.A. Dons manager Slip Madigan is with Jarrin’ John whose football career was cut short by a series of heart attacks that started when he was only 30. 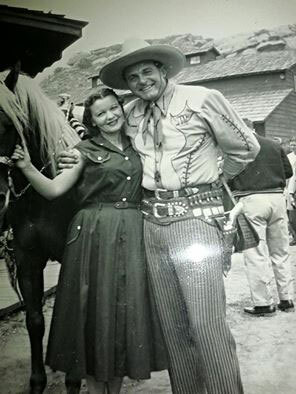 He was forced to leave the game in ‘48 after three seasons with the Dons. 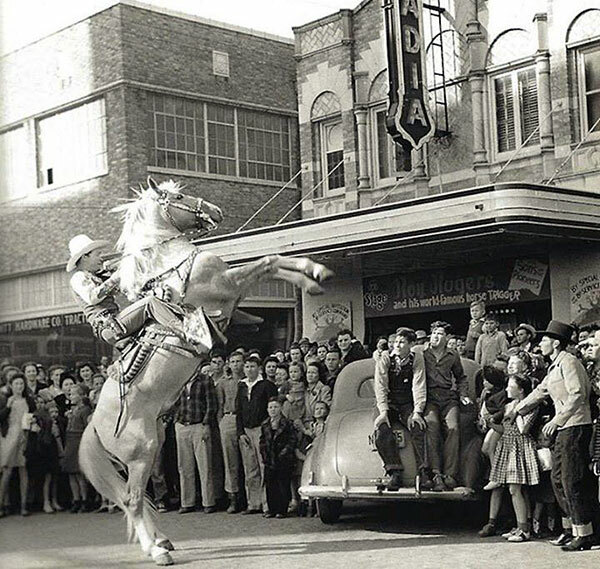 Roy Rogers rears Trigger in front of the Arcadia Theater in Temple, TX, in 1943.